In response to a twitter message the other day, my reply included a little GIF illustration. A few people liked it, so I made some more. 🙂 Enjoy, and feel free to share if they’re of any use. Yet another in my infrequently updated series of tips. As usual, you may know this, but if you don’t you should. You’re using the clip skimmer right? You should be. OPT-CMD-S turns it on. With it you can skim individual clips to see and hear what they are. Very useful for compositing and Projects with piles of audio. This tip is about using it to make overcutting picture in FCP X much more pleasant. In my glamorous world, we’ll often start cutting with a source, and then after some time, we get an updated source. We then go through our cuts and replace all the clips with the new source. 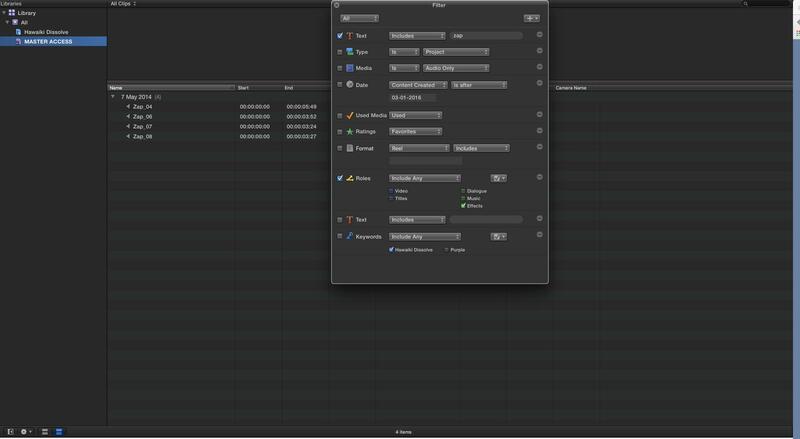 It’s a common task in many workflows, VFX in particular. Always fun in any NLE. 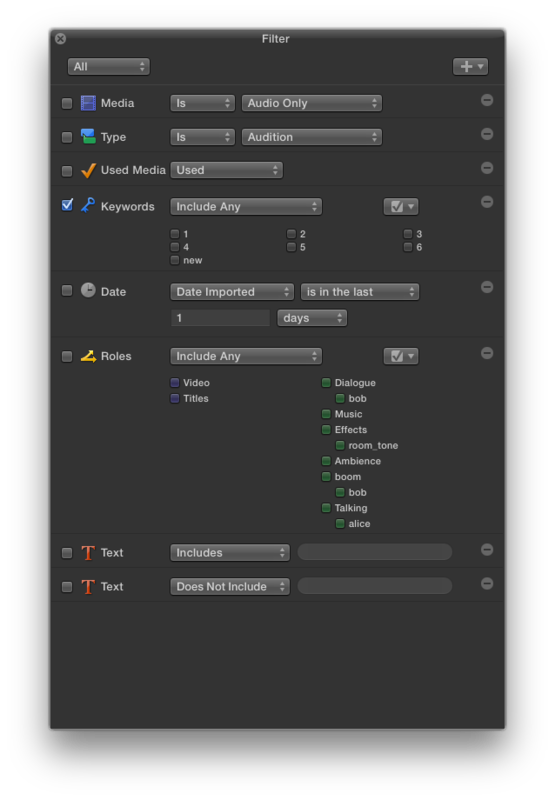 The replace commands in FCP X are very nice, but there’s currently one common command missing, match frame replace. Most of the time, this isn’t a big deal, you can always find a match at the head or tail of a clip. But if the head or tail is buried in a transition, then match frame replace – to match to a frame in the visible portion of a clip – is what you use. In FCP X, it’s not there. But, as usual, there’s a simple way to deal with this… the Clip Skimmer comes to the rescue! In my usual rambling, semi coherent fashion, I’ll show you how in the short video below. If you’re familiar with the overcutting process, you can skip to about 2 minutes in for the actual tip. Hope you find it useful! Just a little drive by follow up to my Post about Multichannel Secondaries. At the start of that video I showed a quick way to extend a clip to connect it to a Primary that it doesn’t overlap. Then, before finishing that topic, I went off on a wild tangent. 🙂 Here’s a quick video that finishes that trick. 2.5 minutes of fun! Update: This also works for clips that start after the primary clip you’d like to connect to, though it will move the clip so you’ll need to reposition it. Still quicker than other workarounds… Also, I’ve come up with a silly name for this process. “Panhandling”.